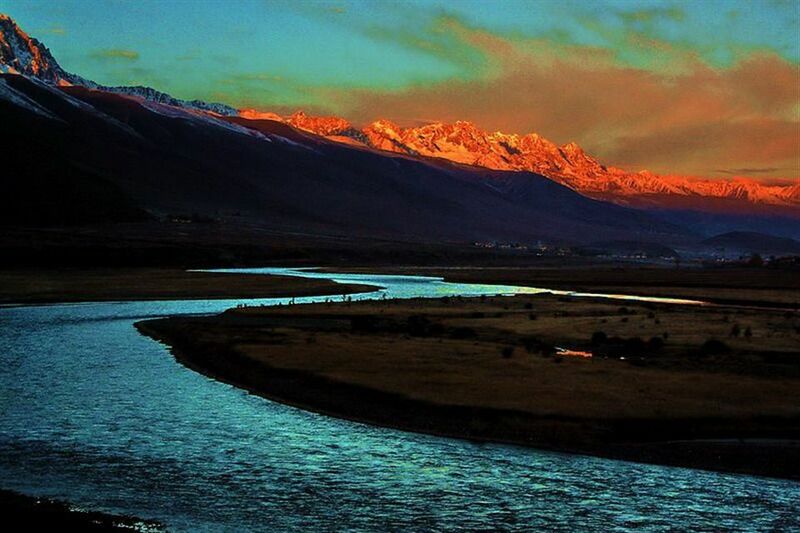 The Yarlung Tsangpo Valley is formed by the Yarlung Tsangpo River, referring especially to the distrct where it joins with the Chongye River, and broadens out into a large plain about 2 km wide before it flows north into the Yarlung Tsangpo River. The capital of Shannan Prefecture, Zetang, in the Yarlung Tsangpo Valley, is one of Tibet’s largest cities, lying 183 km southeast of Lhasa. It was originally well-forested and suitable for agriculture. The Tsetang district is famous for its apples and pears. The serene waters of the braided Yarlung Tsangpo meander through a swathe of land flanked by dramatic sand dunes and rich in Tibetan history. 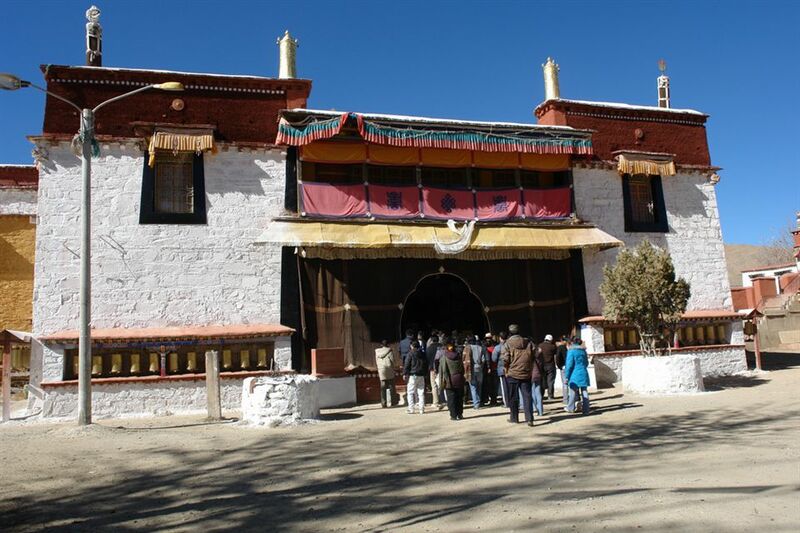 It’s only a couple of hours from Lhasa and the numerous sights are relatively near one another, allowing you to see the main sights in 2 or 3 days exploring the various side valleys on foot or by mountain bike. The Yarlung Tsangpo and the adjoining Chongye Valley formed the original seat of the Yarlung Dynasty of Tibetan kings and controlled important ancient trade routes into India and Bhutan. The first Tibetan Emperor,Songtsen Gampo, moved the capital to Lhasa after greatly expanding his territories and power. The valley, often referred to as the "cradle of Tibetan civilization", is only 72 km long, but contains a number of important castles, monasteries, temples, meditation caves, peaks and stupas. 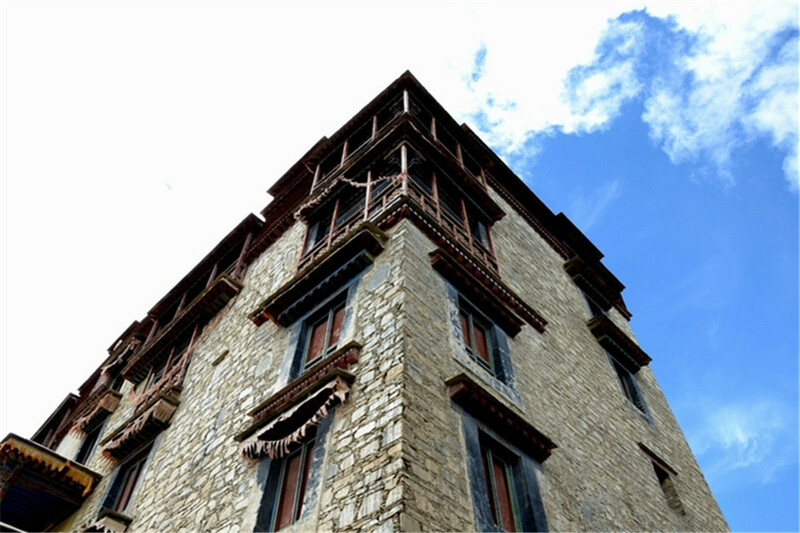 There are three renowned power places, Sheldrak, Trandruk Monastery, and Yumgbulagang. Just below the twon of Tsetang there was a 14th-century iron suspension bridge built across the Yarlung Tsangpo River bu the famous engineer, Tangtong Gyalpo, with a span of 150 to 250 meters, and only 5 large stones supporting. A modern bridge has been built a few kilometers downstream. To the north of the town was the Gonpiri, 1 of the favourite resorts of Avalokteswara, and where according to tradition, the monkey king and the goblin raised their family of monkeys from which ultimately descended the Tibetan race. 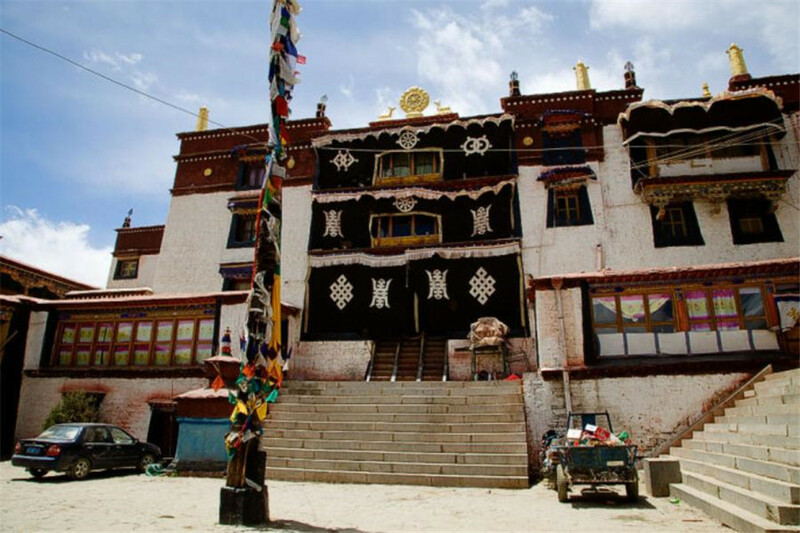 There are 4 lamaseries around Tsetang, and in the town are some 15 Nepalese, 20 Chinese and 10 Kashimiri shops besides native traders from all parts of Tibet. Mutton and butter were abundant. Generally, you can visit Yarlung Tsangpo Grand Canyon from April to May and September to October. In fact, September and October is the best season to trek and shoot. It is easier to shoot clear landscapes of the Grand Canyon and Great Bend with little rain and difficulties. Moreover, you should make full use of the time in the morning and evening to take photos. Various grades and flavors of restaurants in Bayi Town have everything from soup to nuts. There are many restaurants in Pome County, which mainly provide Sichuan cuisine. The traffic is very inconvenient in Motuo County, so the price of commodities is very high. It is always good to bring your own food during your journey. It is easy for you to find an accommodation in the towns along National Road 318, such as Bayi Town, Pome County and LuLang town. Nyingchi ferry Youth hostel, located in Bayi Street of Bayi Town, provides standard rooms with CNY100 per bed and common rooms with CNY40 per bed. The condition of individual hotels in LuLang town is very basic, and price is CNY30 per bed. If you choose to camp, you need to carry some outdoor camping equipments. The ideal location is Zhaqu Great Bend. 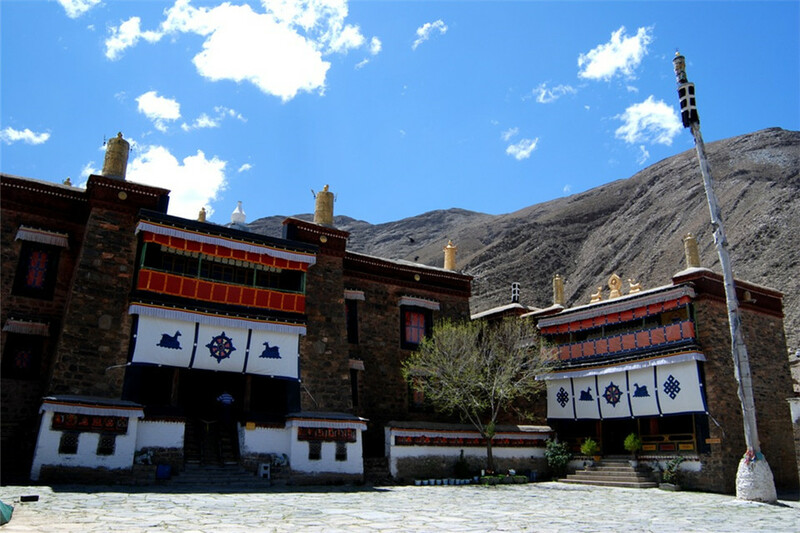 Zhaqu village is a small mountain village with only about 10families, which is located in the central position of Yarlung Tsangpo Grand Canyon. It is the landmark of the Grand Canyon with sheer and straight mountains, roaring and surging river. The river makes an abrupt hairpin turn and forms a U-shaped gorge along the valley, which has been christened the Great Bend of the Tsangpo. In addition, the canyon and current become wide and placid from previous narrow and torrential, which forms the unparalleled scenery.A 300-meter-high cliff in the southern Zhaqu village is the perfect place to appreciate and shoot the Great Bend.You need two days to reach Zhaqu village by trekking from Pelung, or set out from Yumei with half day. Yarlung Tsangpo Grand Canyon is a general reference, and it is hard to specify to a certain location. In fact, the areas along Nyingchi to Motuo County can be counted as the scope of the Grand Canyon. Try to carry some light photographic equipment if you trek to there. Take 135 frame camera rather than 120 camera. In addition, a portable DC card machine will be more convenient for you to capture the wonderful moments along the way. 1. Be aware of the changeable weathers and bring some warm clothes with you. 2. The road along the Yarlung Tsangpo Valley is not very good, so choose your car wisely. 3. Just in case you won’t see any villages or people along the road, you need to prepare some extra food and water. 4. The altitude here is relatively high. You may as well take some meds in advance. 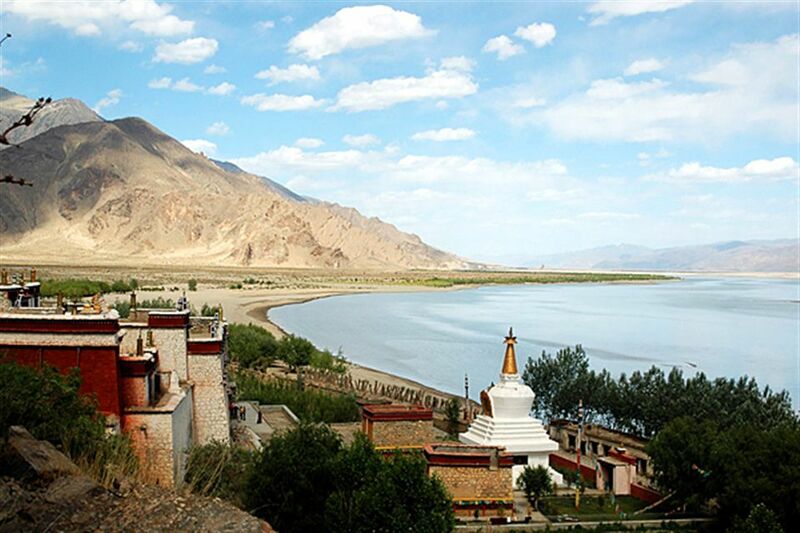 Yamdrok Lake is one of three most sacred lakes in Tibet. 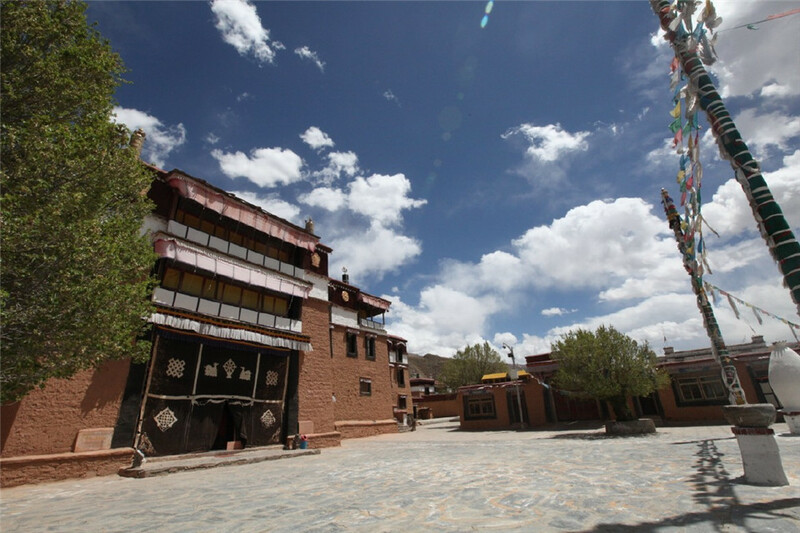 Tibet Vista provides more than 10 tour packages including these tourist attractions in Tsedang Prefecture at the best price. 0 Comment ON "Yarlung Tsangpo Valley"
May to Oct. Would be the best time to go, when the weather is not either too hot or too cold.